It used to be very difficult and costly for someone to build a website for their therapy business. Once upon a time, the only way to build a website was for you to find and hire a professional to develop it. Lots of time and lots of money. And even once it was complete, updating the site was a chore that required more time and a big learning curve. But fear not! In recent years, the rise of WordPress has made owning and building a professional looking website something that most people can do easily and quite affordably. WordPress is the world’s most popular blogging and website framework. Think of it as the structure of your website, and the hub for creating all the pages and blog posts on your site. This “structure” is free for anyone to use. What is amazing is that you can then purchase professionally designed and developed themes to upgrade the look of your out-of-the-box WordPress website. 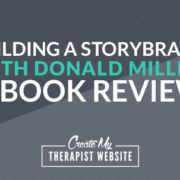 Because this process is simple to do and cheap, I highly recommend it for building a website for your therapy practice (or anyone needing a website for that matter!). 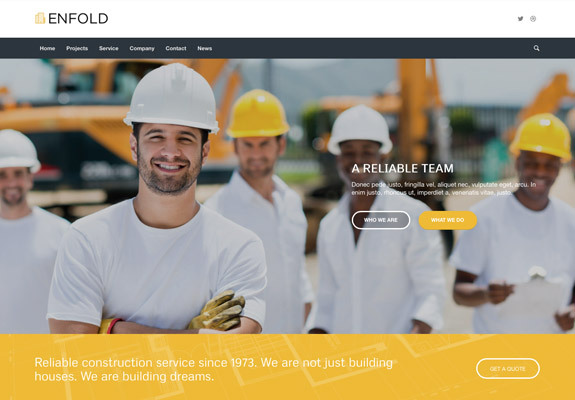 Because of the many beautiful WordPress themes out there today, building a great looking website is within the reach of any private practitioner. Here, we’ll take a look at 10 of the best options for therapist WordPress templates. Adelia is another clean and minimal WordPress template that would be great for any therapy business. It comes with a built in drag-and-drop page builder that lets you create custom layouts for your site. It looks great on any device and it’s also optimized for search engine optimization to help your practice be found more easily on Google. It also comes with Layer Slider, which lets your create animated galleries. Adelia also promises 100% support, should you have any questions. I may be a bit partial to this WordPress theme, considering it’s the theme I’m currently using on this website. I’ve been using Enfold on a number of websites for years because I’ve been so impressed by it’s ease of use as well as it’s flexibility in creating beautiful layouts with the drag-and-drop page-builder. They even boast that it’s “the user-friendliest WordPress theme ever made”. 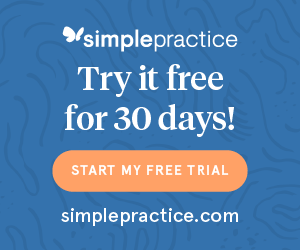 With over 20 demo content packages to choose from, this theme is a great starting point for any therapist who wants to get a beautiful private practice website up quickly and then customize with their own content. 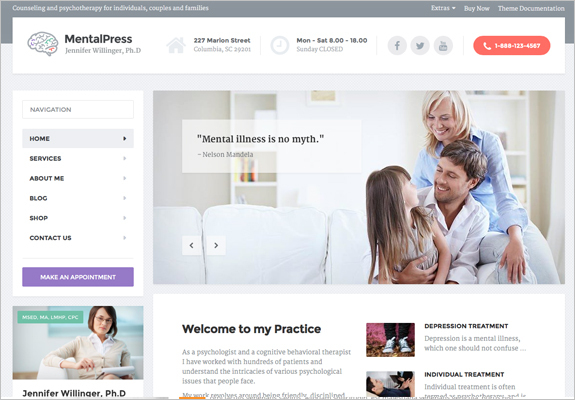 MentalPress is a WordPress theme built with the psychology, counseling and medical fields in mind. Because of this, it offers a layout that includes places for all the info any therapist would want to showcase. Phone number and “Make an Appointment” button are prominently displayed. Other features include video tutorials on using the theme, demo content to get you started, and a drag-and-drop page builder to create awesome layouts. I’ve also heard, from folks who have used this theme, that customer support is fantastic. 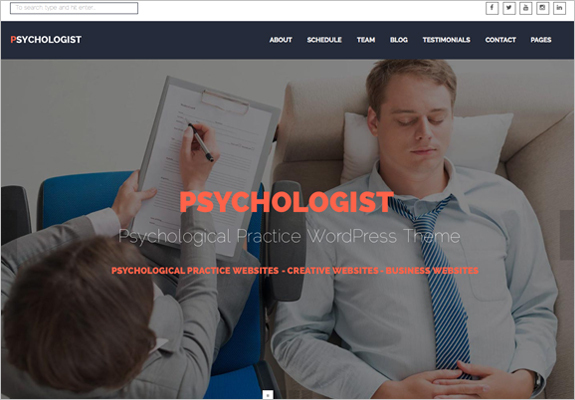 The Psychologist WordPress theme has a bold look that will make any therapist stand out. It’s clean but it’s also colorful, has a drag-and-drop page builder and will look good across all devices. It also comes with an appointment and events calendar which could be useful for advertising group therapy sessions. It’s got more features than you’ll even need! 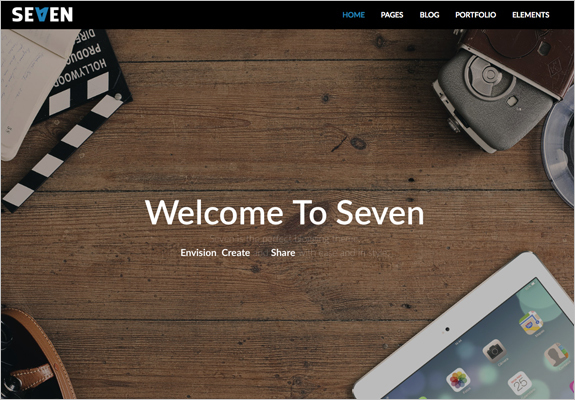 Seven is super stylish WordPress theme and a great option for your private practice website. The photos are given prominence, so find some great stock photos and to make your practice stand out. It features video tutorials to help beginners, a layout that looks great on all devices, and a handy drag-and-drop page builder to help you create fresh layouts for your content. Also a great option for the counselor who likes to blog, as it’s clean and easy to read. I think this one is my favorite. 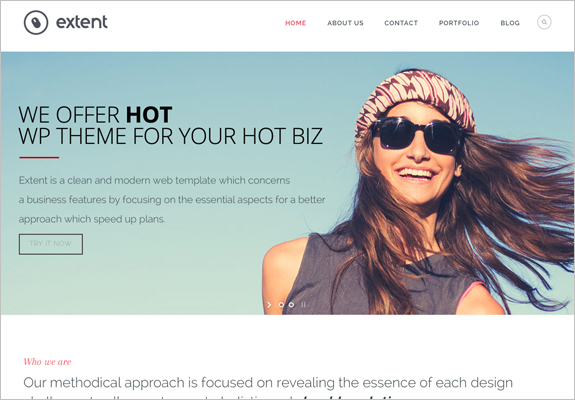 Extent is a truly versatile WordPress theme that has many options that would work great for creating a custom therapist website. It comes with 6 demo templates that you can install with one click, and then fill in your own info. These demos have different layouts so you can customize to your heart’s content. It’s optimized for search engines, has a drag-and-drop page builder, and fully responsive. The list of options is quite impressive, including multiple languages, making this a great option as a therapist WordPress theme. 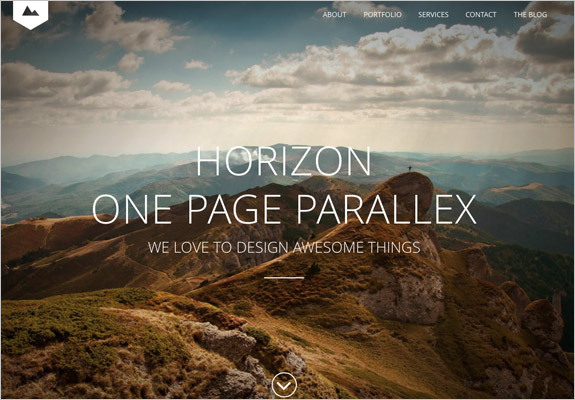 The Horizon WordPress theme is set up to be a one page website. The site loads smoothly as you scroll down the page and elements animate in. Another great choice if you have some good stock photos for your therapy business. Key features include Visual Composer Page Builder, totally responsive, unlimited colors and hundreds of fonts. 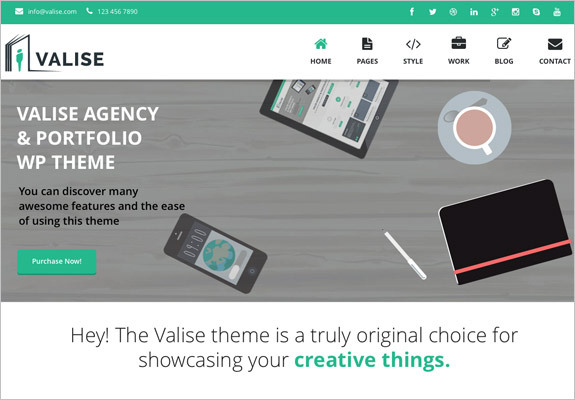 Valise was built more as a portfolio for designers but could easily be adapted for any therapist’s website. It’s simple, clean and colorful, and comes with Revolution Slider in case you want to create some fancy animations. It’s also fully responsive, search engine optimized and comes with full demo content to help you get started. There’s also video tutorials to help you learn the features. 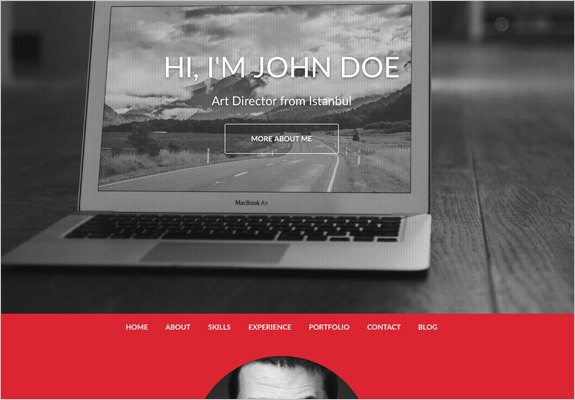 One WordPress is described as a “flat, responsive resume and personal portfolio theme”. It places most of the information on one homepage with bold colors and a place for your headshot. This one is simple and straightforward, allowing you to focus on your counseling services and lead your potential clients right into the contact form. 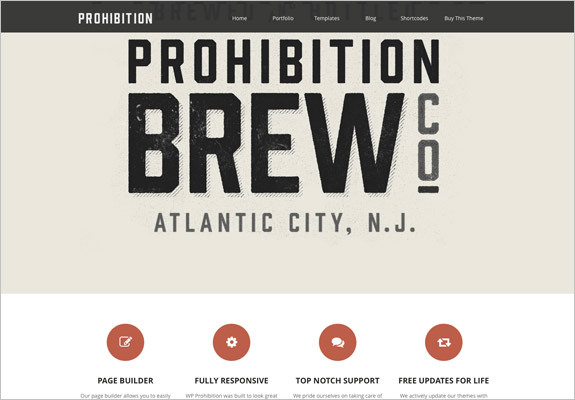 Like the last theme, WP Prohibition is another theme that is clean but bold. The design is fully responsive so it will look great on all devices. It features a powerful page builder, search engine optimization and a fully customizable, drag-and-drop homepage builder. You also get free updates for life, so you know the creators are working to constantly improve their theme. Since originally writing this post I’ve come across some other great WordPress themes that I can’t ignore. 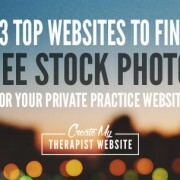 So any updates to this post will appear below as I find great themes you can use for your private practice website. Divi is my personal WordPress theme of choice when it comes to the one-on-one custom websites I create for my own clients. After researching which WordPress themes offered the most customization, ease of use for updating and best options – I landed on Divi. It costs a little more than the others (they have a few different packages) on the list, but the service, support and flexibility you get is well worth it. It comes with a visual builder with 20+ pre-designed layouts so you can lay out beautiful web pages in just seconds. Plus EVERYTHING is customizable and if you need help, there’s a huge support community out there to help you. 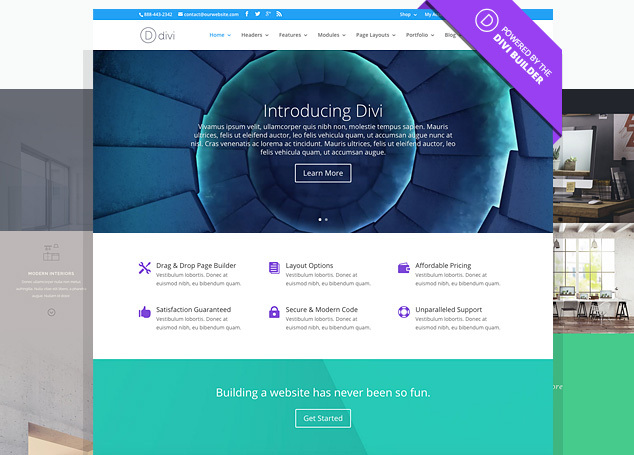 Check out Divi and some of the amazing things you can do with it here. I even wrote a whole blog post about Divi, you can read that over here. 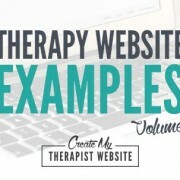 There are tons of WordPress themes to choose from when building your therapist website. It is by no means exhaustive, but I hope this list will save you some time as you create your own website to market your therapy business. 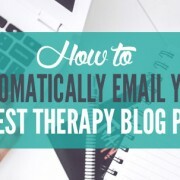 If there are other themes that you’ve found that would be great for therapists, please let me know in the comments so I can add to the list! For more info about finding a WordPress theme for your private practice, check out this post. 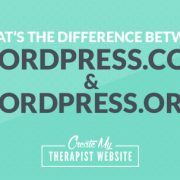 What’s the Difference Between WordPress.com & WordPress.org? I’m surprised you didn’t include the “Divi” WordPress theme. I feel like this one is commonly used and looks gorgeous for therapy sites. 🙂 I personally use Squarespace, but would probably go with Divi if I ever switch over to WP. I am not sure if my previous post was published. Either way I would like to know your opinion about MentalPress theme (you can find it in themeforestI)? Hello Andrej, thanks so much for the comment. Not sure what happened to the previous one. Yes, MentalPress is a great theme as I mentioned in the post above. It really has some great features because it looks like it was definitely built with therapists in mind. In my own opinion, I feel like that theme seems very well suited for either a counseling group or practice, or for a single therapist that has a lot of information and blogs regularly. It’s got lots of great content areas, but if you don’t have many services and new articles posted regularly, I’m thinking it may make the site look a little sparse. Just my two cents 😉 Hope that helps! I absolutely love MentalPress. It took me a bit to get it to look the way I preferred, such as whether I would leave the slider and which pages to highlight, but it’s very SEO friendly and definitely feels like it was built for therapists. Bit late saying this but many thanks for including Horizon (my theme) glad people like it so much. Can the tag lines be changed in these template to reflect my preferred message? Hi Karen! Thanks for your comment. Could you explain a little more about what you’re referring to? Is it the tagline within the WordPress settings? I really liked your website theme. Could you please tell me theme of your site? Hello Sermin, I’m currently using the Enfold theme. You’ll find it above in the list if you want to check it out. It’s a great theme with lots of customization options, but not too overwhelming to use the settings. I love it! Hi! 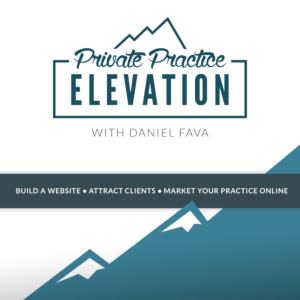 I love your site/blog and all the content created to help us build our private practice business.I was able to set up my gmail with my domain name with your help and the step by step article. I need to start blogging but I have already have a website that I don’t want to recreate as of right now. I don’t see how I can incorporate wordpress in my already established website. Can you give me any advice about what to do about blogging or any other sites you recommend using? Hi there, thanks so much for all the helpful information you share! I’m a therapist and will be providing services as well as a range of snooks and ecourses. Would any of the above themes be suitable for this or should I look at something different? Hi Kelly! The beauty of WordPress is that you can add in plugins to add extra functionality as needed. If you will be selling books, you could use a plugin called WooCommerce that will add to your website all the settings/pages for hosting an online store. You’d want to check each theme though to see if it mentions WooCommerce support. If it doesn’t have that, you could possibly still use that plugin, but it may not be styled as nice as a theme that specifically mentions it. For ecourses, you can certainly use WordPress but it’s a lot of work to set up. You could use a plugin like Member Mouse or Wishlist Member, which is pretty robust. Or you could try an external service just for your courses, like teachable.com then just link to it from your website. Hope that helps! I am a complete beginner and appreciate the info on this site. I was able to buy and install the Extent theme, but I’m finding the customization to be challenging. The default setup is a blog format, and I want a basic website format with basic pages like about me, services, directions, payment, etc. Is there a way to shift the look of the theme from blog to website from the start, before I start to customize more? I’m not familiar with the ins and outs of the Extent theme’s settings so that would be a good question for their support team. Looking at the features and examples of websites they give, it sure looks possible to create normal web pages and not just a blog format. 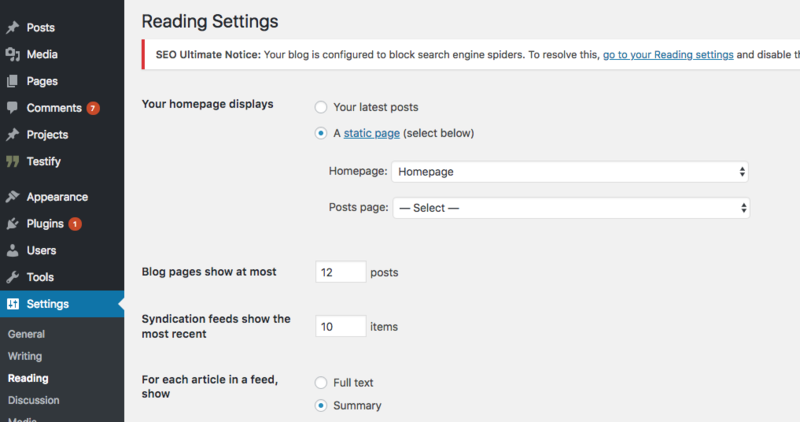 If you haven’t already, you may want to make sure your WordPress reading settings are set to show a static page as the frontpage instead of your latest blog posts. You do that under Settings > Reading. I don’t see the static page option under settings>reading… is it in a different spot in the WP update? Also, I am really appreciating all the information on your site, thank you!! Would love to see an article on the ins and outs if HIPAA Compliancy for therapist’s websites. Thanks, Sherri! I will add this to my list for future blog posts. I really appreciate it! you have done a tremendous job over here. 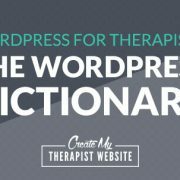 Though you may have missed out some recent WordPress themes that are specifically designed for psychotherapist or life coach websites. As an example, check out the theme called Mentis that has been recently released in Themeforest. This one has an HTML version available as well! I want to make online counseling website where Different experts can provide counseling to clients through chat (after paid subscription). which theme is suitable for this ? Hi Raghav! It sounds like you have a very specific goal for the website you’re creating. Because of that, choosing a theme should be something you research and move a little slowly on. The theme you choose will really just be the front-end vehicle to promote your business. The trickiest part would be the functionality of “providing counseling through chat” that you mentioned. This sounds like some pretty custom functionality that would need to be added to any theme you choose, either as a plugin to WordPress or completely different platform. There will also be the challenge of making sure the clients’ info is safe and secure which WordPress on its own is not. I’d recommend seeing if there was a confidential chat service you could use, like Vsee, and see if that would work for you. Then you can use your website as the marketing vehicle to get those clients. Just my initial thoughts and I hope that helps!